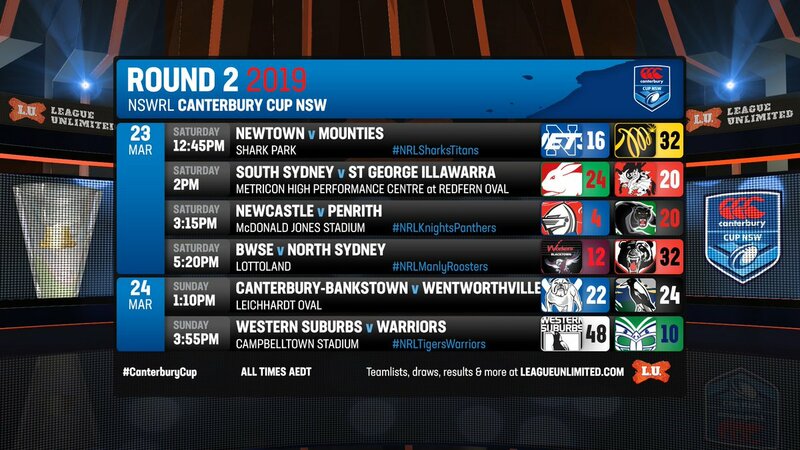 ALL the results and scorers from the second round of the NSWRL Canterbury Cup. 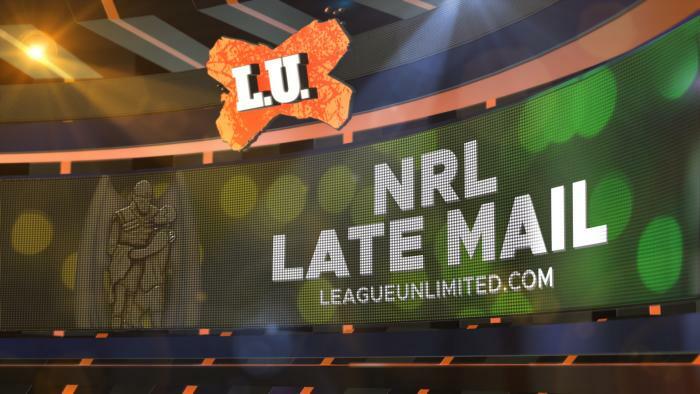 IT'S Teamlist Tuesday for Round 2 of the 2019 NRL Telstra Premiership! 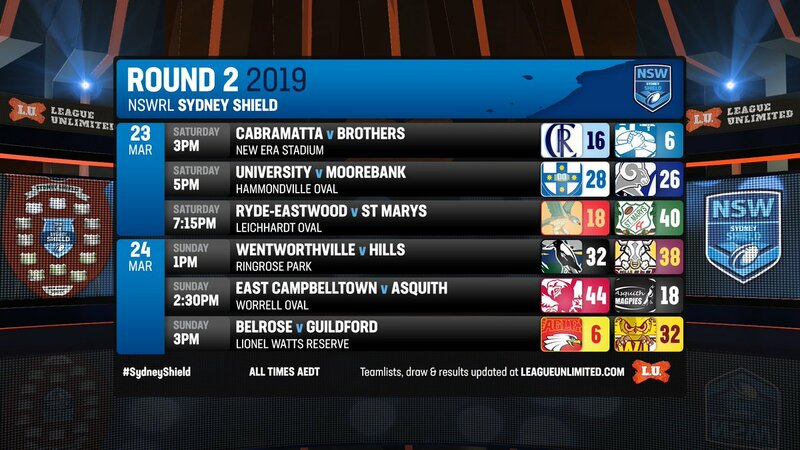 At 4pm AET every Tuesday, the full teams for each #NRL round will be posted right here, with updates to this article across the weekend as squads are reduced and final teams named ahead of kickoff. GET all the Late Mail ahead of tonight's battle between the Wests Tigers and the Warriors at Campbelltown Stadium. 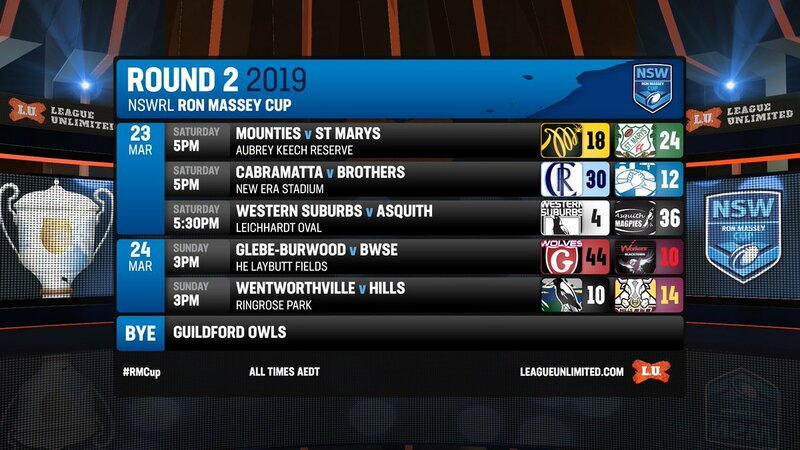 ALL the results and scorers from the second round of the NSWRL Ron Massey Cup. 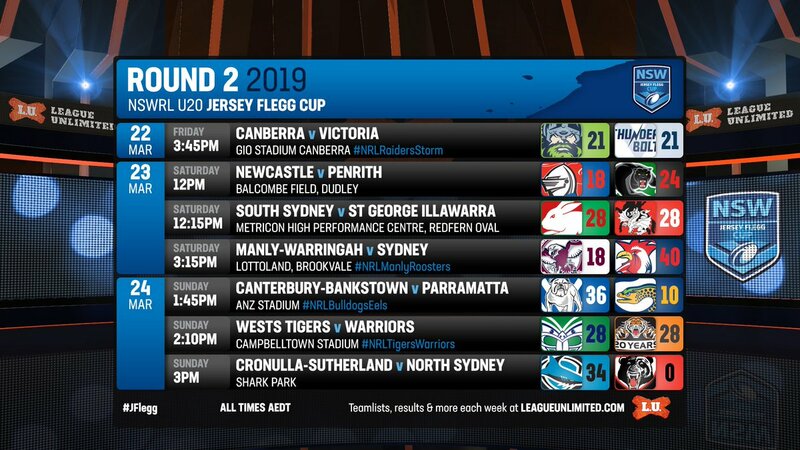 ALL the results and scorers from the NSWRL U20 Jersey Flegg Cup Round 2. 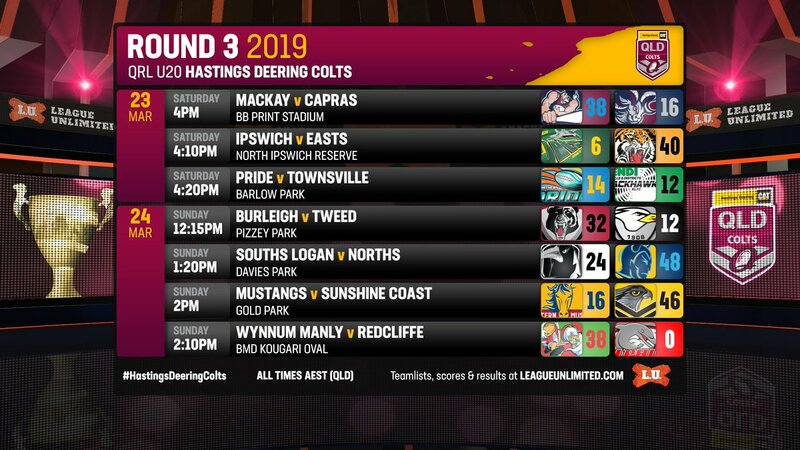 ALL the results and scorers from the QRL U20 Hastings Deering Colts Round 3. GET all the Late Mail ahead of this afternoon's clash between the Canterbury-Bankstown Bulldogs and the Parramatta Eels at ANZ Stadium. 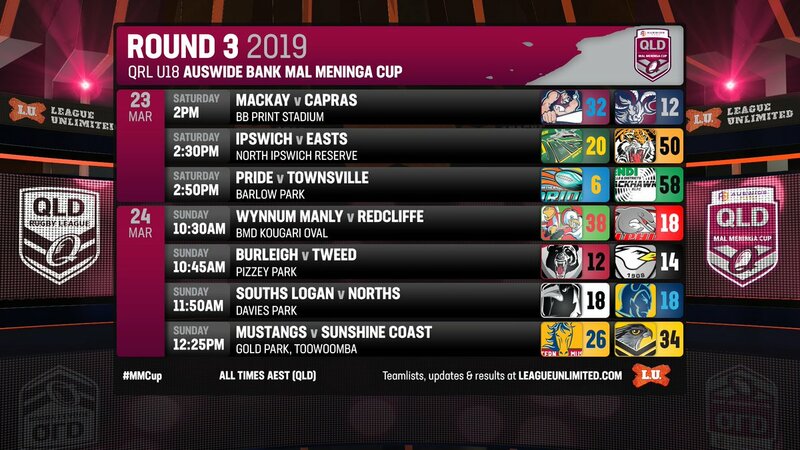 ALL the results and scorers from the third round of the QRL U18 Auswide Bank Mal Meninga Cup. GET all the Late Mail ahead of tonight's game between the Manly-Warringah Sea Eagles and the Sydney Roosters. 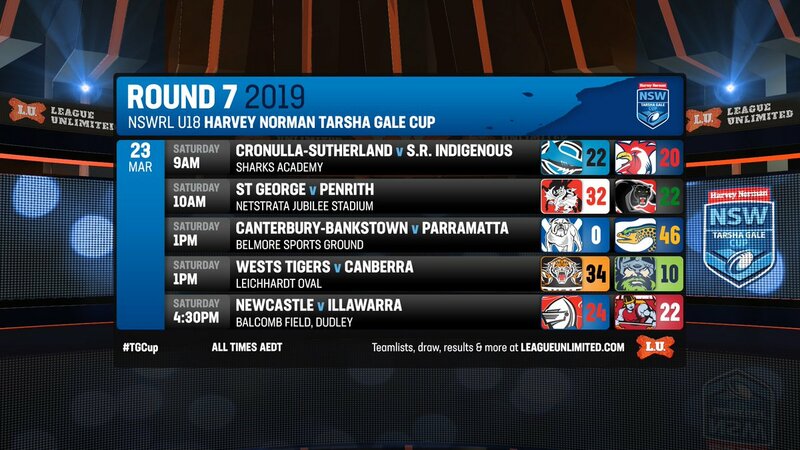 ALL the results and scorers from the NSWRL U18 Harvey Norman Tarsha Gale Cup. 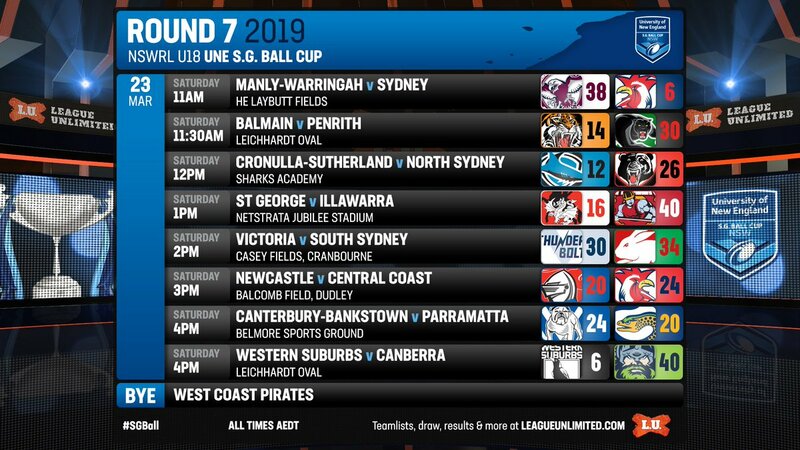 ALL the results and scorers from the seventh round of the NSWRL U18 SG Ball Cup. 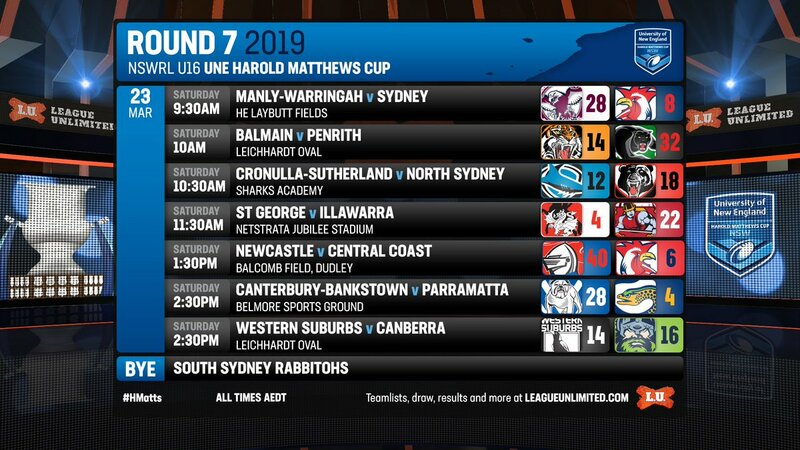 ALL the results and scorers from the seventh round of NSWRL U16 Harold Matthews Cup. GET all the Late Mail ahead of this afternoon's meeting between the Newcastle Knights and the Penrith Panthers at McDonald Jones Stadium. GET all the Late Mail ahead of this afternoon's battle between the Cronulla-Sutherland Sharks and the Gold Coast Titans.